Whisk everything together until it is all combined and smooth. Now you can place the chicken into a resealable bag. Pour half of the marinade into the bag, over the chicken. Seal the bag and work so that is covers all of the chicken. Place in the fridge for 30 minutes to over night. After 30 minutes place the chicken over a medium/high flame on the grill. Then flip and cook for 6-8 minutes more. You want the internal temperature to be 165 degrees. While the chicken cooking, baste with the remaining marinade. This will take a few applications to get that glossy glaze finish you are looking for. Remove the chicken from the grill and let it rest for 5-10 minutes under foil, and there you have it! 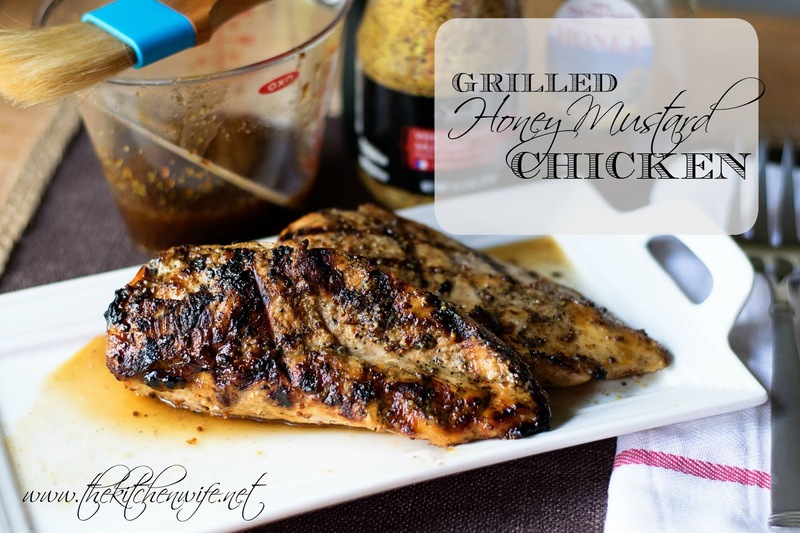 Delectable grilled Honey Mustard Chicken. I guarantee that you, and anyone else that may have the privilege of sitting at your table, will be drooling. This pairs perfectly with a nice garden salad, and some exquisite summer sweet corn. I know this chicken recipe will be a regular on your summer table so get in the kitchen and make it tonight! In a mixing bowl combine the honey, oil, mustard, garlic powder, onion powder, smoked paprika, salt and pepper. Whisk together until smooth. 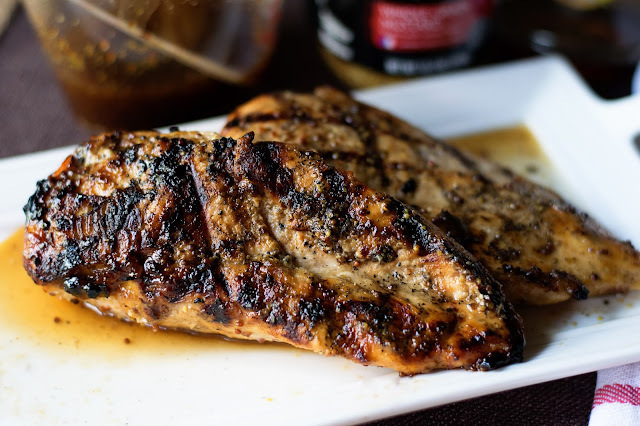 Place the chicken into a resealable bag and pour half of the marinade over it. Seal the bag and work the marinade so that all of the chicken is covered. Place the chicken into the refrigerator for 30 minutes. After 30 minutes, place the chicken onto a medium/high grill and cook for 6-8 minutes. After 6-8 minutes flip and cook for 6-8 minutes more. You want the internal temperature of the chicken to read 165 degrees. While the chicken cooking, take the remaining marinade and baste. This will take several applications to get the glossy glaze finish you are looking for. Remove the chicken from the grill and let it rest, on a plate, under foil, for 5-10 minutes. This dish pairs well with a garden salad and sweet summer corn.